Up hill and down dale, by meadows and stands of forests, Rt 123 meanders down the Harpswell peninsula. Leave Brunswick on Rt 123, the Harpswell Neck Road, and almost immediately you are in a rural area. There are no fast food drive-ins or strip malls; this is the way life used to be. The Harpswell peninsula is very narrow and occasionally it is possible to catch glimpses of the ocean inlets on either side. This is a very pretty drive. On the left side out of Brunswick there are two ponds filled with rose-colored lilies. Several horses are frequently grazing in a meadow, again on the left side out of Brunswick. On the right side, a large, white barn sets atop a hill overlooking an apple orchard (a gorgeous site when in bloom.) Old farms abound on both sides of the roadway. About ten miles down Rt 123 is a cluster of historical buildings that I call the heart of Harpswell. Situated very close to a curve in the road, Harpswell’s Old Meeting House is on the right. Built between 1757 to 1759, the meeting house has some interesting features. The pulpit rises ten feet from the floor to be on the same level as the gallery. Was this so that the preacher could be better heard by those seated in the gallery, or so that he could better watch over those in attendance? There is one floorboard in the Deacon’s Box which is said to be 29-1/2” wide. At the time the Meetinghouse was built, there was a King’s law that trees measuring more than 24” in diameter were reserved only for masts in the King’s Navy. It’s interesting to speculate on the reason for flouting this royal decree! 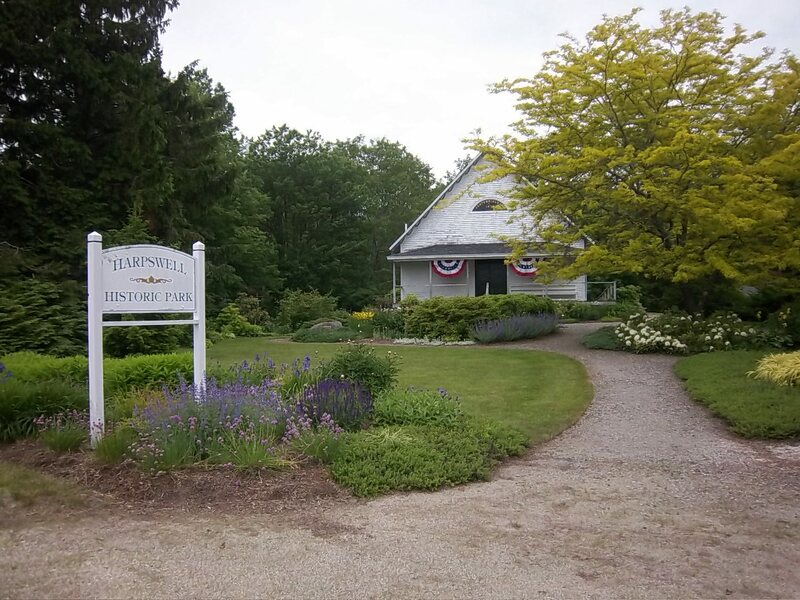 In 1968, the Harpswell Meeting House was designated as a national historic landmark. 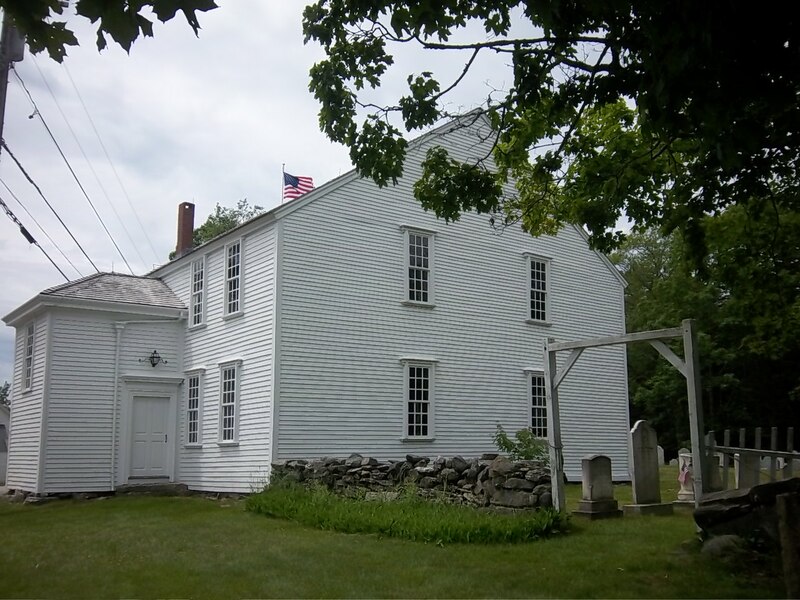 Today the Old Meeting House serves as town offices and polling place. During the summer months, it is open to the public. 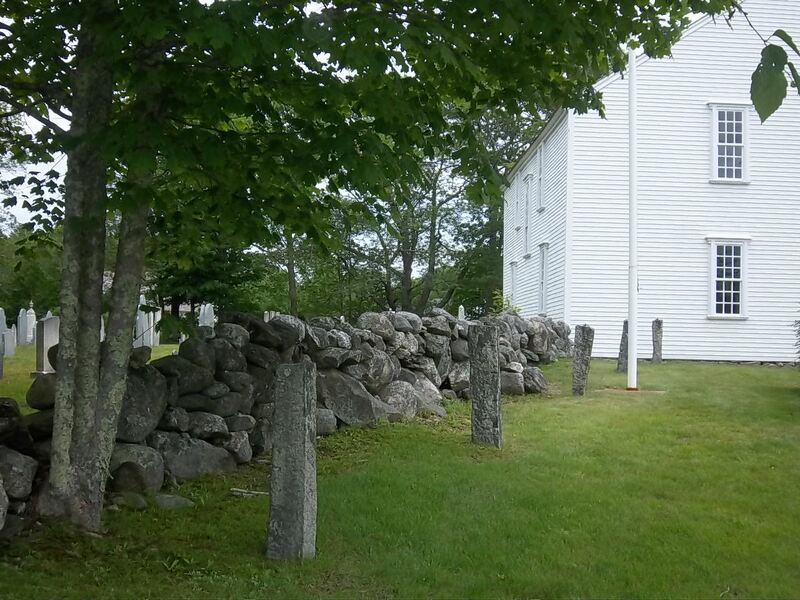 The old burying ground behind the Meeting house contains the graves of early settlers. The granite posts in front of the cemetery are hitching posts to secure horses. Across the street is the Elijah Kellogg Church Congregational, built in 1843/44. 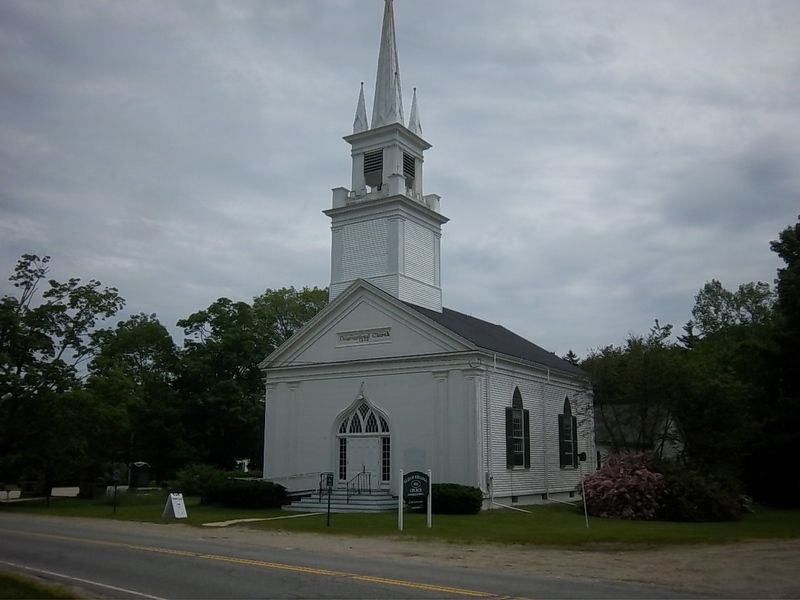 This church is a prime example of the many white Congregational churches found throughout New England. It has been well maintained over the years and is currently undergoing renovations. 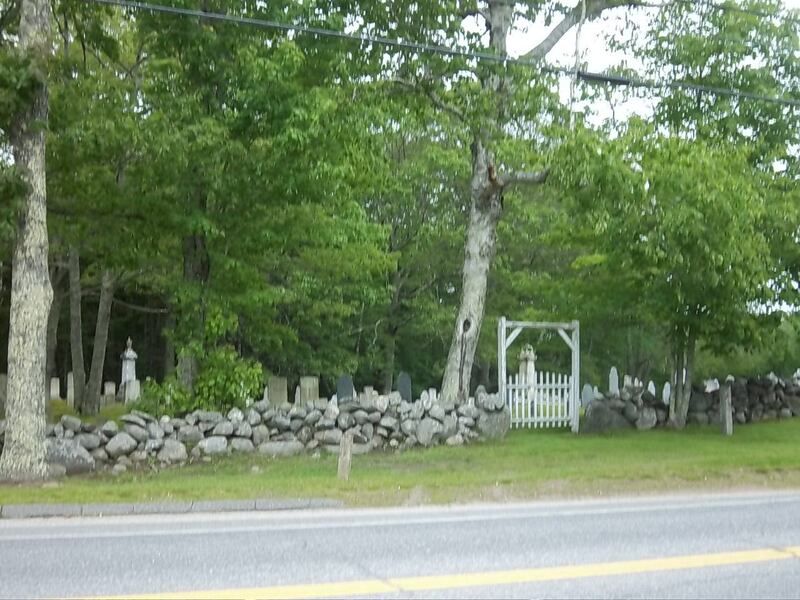 To the left of the church, set back from the roadway perhaps 100 feet, is the Harpswell Cattle Pound, erected in 1793. Pounds were deemed necessary in colonial times to corral stray cattle and to keep them from trampling and damaging settlers’ crops. 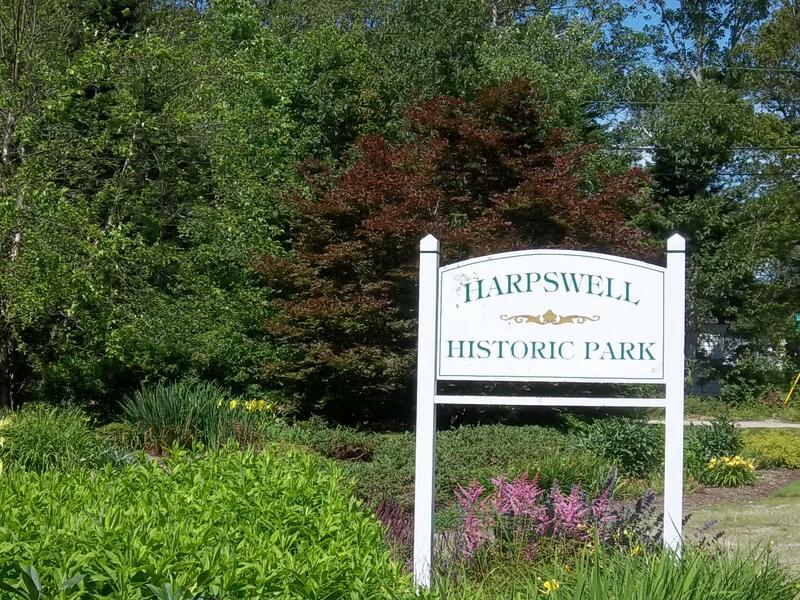 Across the street is the Harpswell Centennial Hall and Harpswell Historic Park. The building, built in 1829, was used as a school until 1913. A beautiful garden and park are in the forefront of the hall. 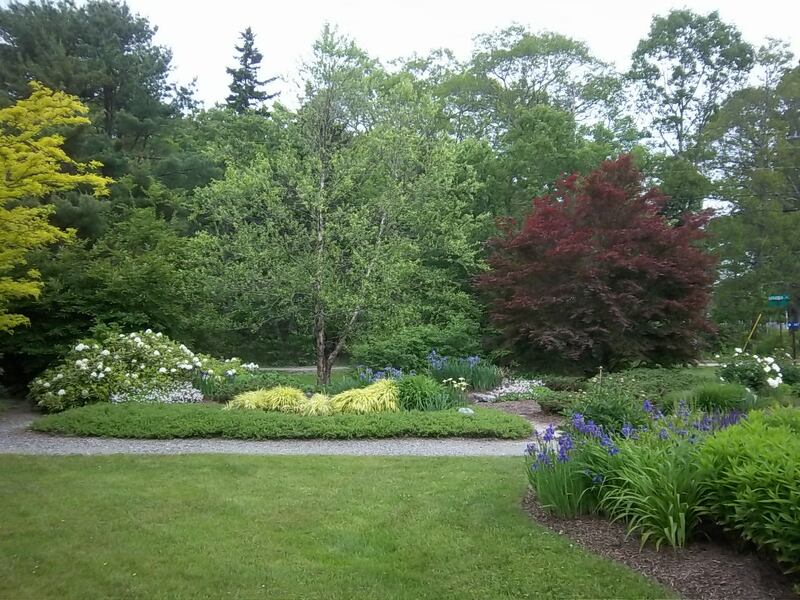 The colorful garden and walking paths provide a peaceful spot for quiet contemplation. These few buildings provided the necessary support for a New England community to thrive. A drive here seems like time travel As I walk around the buildings in this area, time seems to stand still. We are indeed fortunate to have areas like this preserved so that we can appreciate our heritage. a mile to the end, you will arrive at The Dolphin Restaurant and Marina. This is one of our all-time favorite seasonal restaurants. The setting, at the end of the point with views of the Atlantic all around, is superb. And the food is fabulous. They are famous ( and my favorite) for haddock chowder and blueberry muffins. For a memorable summertime excursion, a road trip to Harpswell and The Dolphin Restaurant is unbeatable. 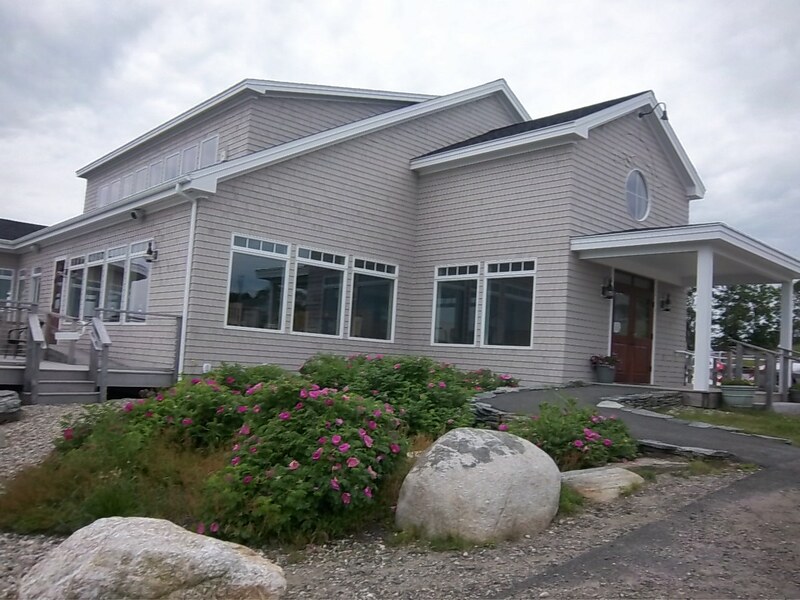 This entry was posted in Historical, Maine, Travel and tagged Cattle Pounds, Centennial Hall, Elijah Kellogg Church Congregational, Harpswell, Harpswell Historic Park, Harpswell Neck Road, Harpswell's Old Meeting House, Rt 123, The Dolphin Restaurant and Marina. Bookmark the permalink.